When I joined 365Motivate I was working out in a gym 5 times a week and not seeing results. I wanted to tone my body and get a little leaner ready for my wedding and even though I had the motivation to exercise on my own I just didn’t know how to make the necessary changes. The list of achievements since joining 365Motivate a year and a half ago is huge; my body shape has changed so much (I have a bum now), I’ve lost 17.1lbs of body fat and now have 12lbs more muscle mass! My fitness and strength is also so much better – I regularly lift weights now and am the strongest that I have ever been (I thought I would hate doing this as I was a cardio queen). When I started I could only do about 10 body weight squats, now I squat 50kgs. I also get less injuries and old injuries don’t bother me anymore. I am more confident than I was before I started; I never used to like having my photo taken, and I feel so much more capable – I know that my body is capable of anything and I’m not afraid to push it to the limit. I also have a much more healthy attitude to food, I eat to fuel my body and I don’t diet or deprive myself anymore! I love both my PT and my bootcamp sessions, they are the highlights of my week! It’s a great escape, the people are amazing, I’ve made real friends and I always come home with a huge buzz! I LOVE group exercise now, which I definitely didn’t before. I recommend Lucy as a Personal Trainer and 365Motivate bootcamp in particular to everyone looking to get fit, lose weight, tone up or just looking for something fun to do. The group is so much fun and so supportive, from your first session everyone makes you feel welcome! Everyone’s there to get fit but also to have a laugh too. Lucy is just brilliant, she’s with you every step of the way whatever your goal is. She pushes you without putting any pressure on and she makes sure the sessions are different, challenging and fun! 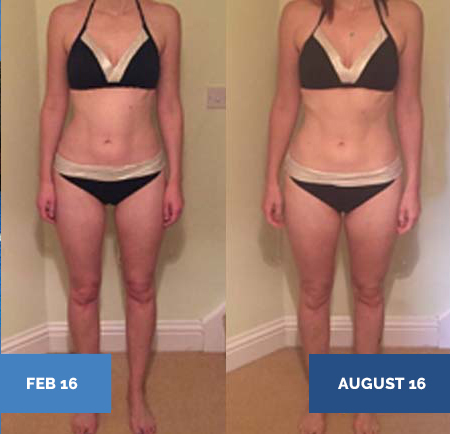 The difference between 365Motivate and others fitness programmes I’ve tried is – IT WORKS!!!! I’ve used a gym, done yoga, Pilates, Zumba, step and spin classes and nothing has changed my body shape or improved my fitness like 365Motivate. You get support both during the sessions and afterwards, with home workouts and nutritional advice so you get so much more than just a fitness class.